This month’s featured artist is close to our hearts. He is Iz Lacson and he’s also the person behind Art Trade MNL. Get to know him through this post! 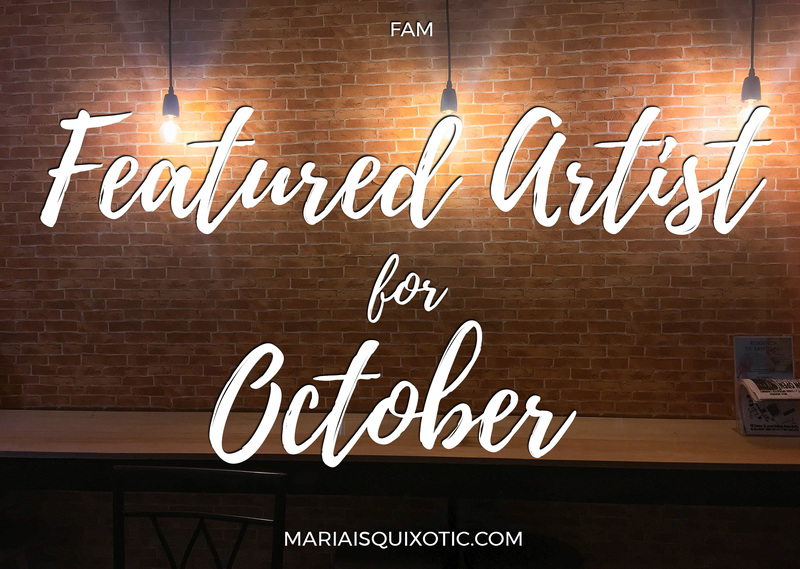 This month’s featured artist is someone really close to our hearts. He has been supporting us for as long as we could remember. Sharing artworks, stickers, and prints one trade at a time. I met him at Type Kita: Pass on the Passion last 2015. Ever since, we have been in touch with each other especially when it comes to art. Kuya Iz is great with graphic design and illustration and opposite to that, I’m only skilled with calligraphy or letters. Fortunately, he was present during our first event. The very first Maarteng Letra: The Pen Meet. However, he cannot join us anymore for the second one as he is in heaven now. I know you’re enjoying up there and watching us share our talents and the passion for arts. This is dedicated for you who truly pushed me out of my comfort zone. I cannot thank you enough for that. Here you go, presenting Kuya Iz who founded Art Trade MNL. I started acrylic painting because it was one of the requirements in class. From then on I fell in love with it. Sometimes I try experimenting with other types but acrylic is still my favorite. I haven’t had the chance to focus on it mainly or pursue it actually and just do it from time to time. I’ve been wanting to learn so many things. My main medium is actually digital. That’s what I do everyday. I love art. Whether it’s visual, audio or even culinary. I just love art. When the people you love doesn’t believe in you or don’t value your work. Worse is when they think that you’re wasting time. It would depend on what kind of art they’d want to pursue. Thank you so much, Kuya Iz! For all the love and support that you have always been giving us. I feel bad for posting this late and you will never get the chance to read it anymore. I just hope that this ignites others out there to continue doing their talents and eventually sharing it to others. This is nice of you to dedicate a blog post to someone who inspired you to pursue your craft. I’m sure he is very honored. I like his motto: “Finished, not perfect.” I should really keep this in mind. Usually, it takes me forever to finish a task because I want it to be perfect, but maybe it doesn’t have to be! Thanks for sharing! The plot twist right there! I’m sure whenever he is now, he’s so much happier and I’m sure he’s still slaying as an artist. I like his motto btw. Also, it’s kinda sad that he won’t be able to read your post. But as what the saying goes, you’ve already accomplished a lot that even after you disappear, your work is still enjoyed by many. I’m so sorry to hear that your friend and supporter is not here anymore but I am sure he is still proud of you and looking highly after your from heaven. I’m sure he would have been so happy to see this post and how much you appreciated his work as well. his art was really nice and unique, with the use of markers and his street art style of designing stickers.